and dance. Performing at many events throughout Michigan promoting the ukulele and hula communities. Based in Ann Arbor, Michigan's oldest ukulele group now boasts over 250 members. 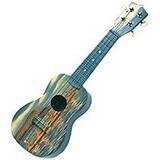 Tree Town Ukes meets on the fourth Tuesday evening of the month at Oz's Music on Packard Street. at Sir Pizza in Old Town Lansing, just around the corner from Elderly Instruments, and have a lot of fun learning, sharing, and playing songs on the uke. Beginners are welcomed! A group of Ukulele enthusiasts in Wayne County, Michigan. We meet the first Wednesday of the month for fun and strum in Garden City, Michigan. A group of Ukulele enthusiasts and players in the Grand Rapids, MI area. 1751 28th St. SW, Grand Rapids. 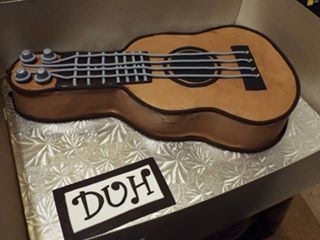 This group is for ukulele enthusiasts in the Holland, MI area. We meet on the last Saturday of the month at noon in the Holland Herrick Library on River Avenue. We are friendly to families and welcome beginners. A group of Ukulele enthusiasts in the Mid Michigan area. We meet once per month for fun and strum at Bestsellers Books and Coffee Shop in Downtown Mason. The Lake-O Ukes ! is a group for people interested in promoting the music of the ukelele and singing. Based in Lake Odessa, MI. Open to beginners and upper levels of players. The group meets the third Friday night of each month from 6:30 to 9 PM. Music is projected. 1417 Johnson St., Lake Odessa, MI 48849. Please park facing the buildings down to the stop sign and across the street. SOUL is a Ukulele Group that meets in Lapeer, MI at Calvelli's Eatery and Spirits. The group is open to all who play the uke or would like to learn. So grab your Uke (or one of ours) and let's play! Everyone is welcome to join SUGAR - beginners, experts, curious folks, singers, listeners. Come and have some fun strummin', singin', and playin' ukes! Meeting the first Saturday morning of the month in Saginaw. Battle Creek area ukers meet the 3rd Sunday of the month. Look for BUGS on Yahoo Groups. Kalamazoo and Portage area ukers gather the last Saturday of the month in Portage. We meet every Tuesday from 5:30 pm to 6:30 pm to jam on the ukulele and have fun. The first Tuesday of the month, we sponsor a Coffee House from 5:30 pm to 8:00 pm. Complete with potluck, Open Mic and Guest Performers. We perform at local events and promote Gilda’s Club of Metro Detroit. Located in Traverse City, uke players and enthusiasts gather to strum, sing and laugh. We meet on the third Wednesday of the month in the Traverse City area. A growing goup of ukulele players located in Clare. We are a group of people who are learning how to play a ukulele while we have fun together. We meet every fourth Saturday at the Clare Municipal Airport at 10 a.m.
YUC is a place for yooper uke fans. We have monthly strums at Jim's Music of Marquette. Detail are in the works. Stay Tuned, Don't Fret. Our group of Yooper Ukers was formed in March 2016 with 4 members. We meet every other Tuesday afternoon in the Munising area. We are beginning to perform locally and in nearby communities. Email: bunandmar@gmail.com for further information. of each month at the Eastern Branch of the Jackson District Library from 5:30pm to 7:30pm. Copper Harbor Ukulele Group is a group of enthusiastic players learning to strum and sing together. All skill levels are welcome to join us on Thursdays at 6:30 pm at the Copper Harbor Welcome Center. All ages, skill levels & personalities are welcome. Group strums are on the second Friday of every month from 7 pm. till 9:00 pm. Winter Location and Time: Red Rooster Restaurant, 3228 S. US 23: 2 p.m. - 4 p.m.
We are ukulele players wanting to get together to strum, sing, and have fun. All skill levels welcome. Fun for all ages! 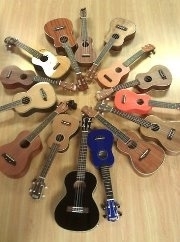 We meet to create a supportive Uke community learning, sharing, and having fun while doing so. or facebook.com under Harrisville Michigan Ukulele Meetup. Based out of Fort Wayne, Indiana, this group meets the 4th Saturday of the month in Woodburn. Bring your ukulele, have some fun. Learn a new song, and jam on songs you already know. Hailing from beautiful Bloomington, Indiana. FRUSOP meets every Thursday at Eastgate Cafe in the Oak Park Arts District to play ukulele, sing and have fun. Are you a Uke Head? Learn to play Ukulele in an open, relaxed, fun, group atmosphere. Sing-a-long style playing group. Gathering Tuesday nights 7 p.m. ~ 9 p.m. at the Grace United Church, 18 Chapman St, Port Dover. Summer location is at the gazebo in Powell Park, Main St. Port Dover.